Angela Amar, PhD, RN, FAAN, was appointed dean of the University of Nevada Las Vegas (UNLV) School of Nursing by the UNLV Office of the Executive Vice President and Provost. Her term begins Jan. 1, 2018. Amar is currently associate dean for undergraduate studies and chief diversity officer of the Nell Hodgson Woodruff School of Nursing at Emory University in Atlanta, where she leads all undergraduate programs, including pre-nursing courses and accelerated programs, for over 500 students. Her visionary leadership at Emory University helped the school redesign its bachelor of nursing curriculum, increase enrollment in undergraduate nursing programs, secure designation as a National League for Nursing Center for Excellence in Nursing Education, and catapult the school’s national licensure exam (NCLEX) pass rates above 98 percent across all undergraduate tracks this year. As dean for the UNLV School of Nursing, Amar will lead one of the university’s longest running programs that educates nearly 300 undergraduate and graduate students each year within four degree programs. 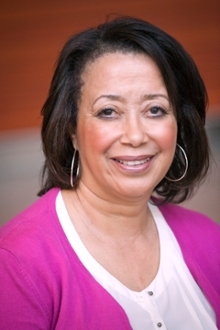 Prior to joining Emory, Amar was the program director for the Advanced Forensic Nursing Program at Boston College from 2008 to 2012, during which time she also served as a tenured associate professor at the William F. Connell School of Nursing. Amar’s clinical specialties are adult mental health and forensic nursing. She has dedicated her career to enhancing diversity in nursing leadership and to improving care and support for survivors of violence and trauma when they enter the health care system. Her research focuses on preventing dating violence and violence against women, which has been funded by multiple government agencies and foundations. Her work has appeared in more than 50 peer-reviewed articles and book chapters. During 2016, Amar received book-of-the-year honors from the American Journal of Nursing for A Practical Guide to Forensic Nursing, which she co-authored. As dean of the UNLV School of Nursing, Amar said that she plans to continue advancing programs that promote evidence-based practice and lifelong learning, foster leadership and increase diversity within the profession. Amar will replace Carolyn Yucha, who is retiring after leading the School of Nursing as its dean since 2004.